Ami D. Gadhia, J.D., LL.M., C.L.P. Ami Gadhia serves as a technology transfer and patenting specialist in the NCATS Office of Strategic Alliances, where she facilitates the collaborations of NCATS scientists. Gadhia drafts, negotiates and executes various agreements, documenting the terms of joint research and development projects that provide for the disposition of various parties’ rights to intellectual property and that permit the interchange of scientific and technical personnel. 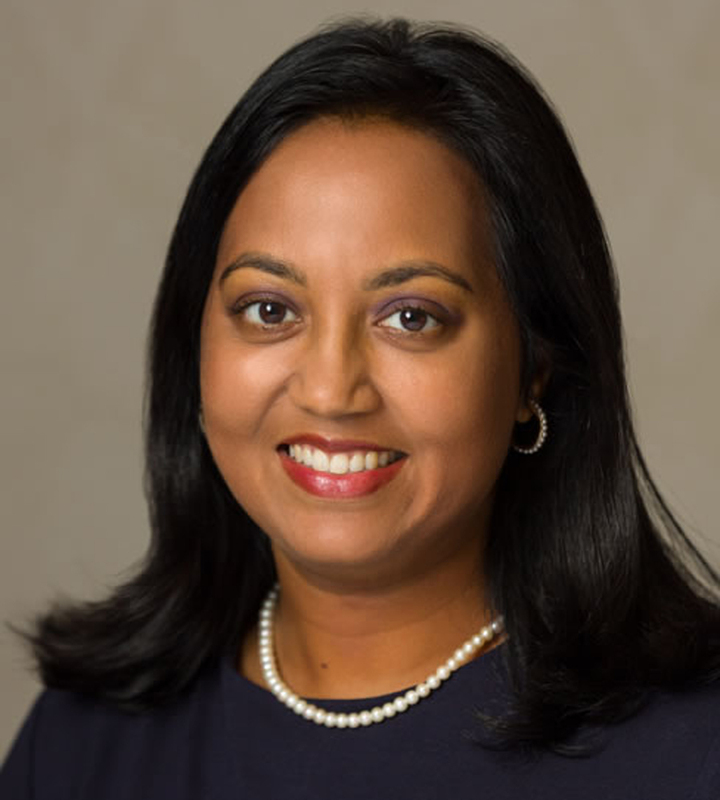 Gadhia launched her technology transfer career at Johns Hopkins University in 2007, serving in positions of increasing responsibility and leadership. As a portfolio director for technology licensing at Johns Hopkins Technology Ventures, she led a team of licensing professionals and managed her own docket of technologies. Her teams spanned cross-functional divisions, including medical devices, imaging and licensee compliance. Gadhia served as a liaison for technology transfer/ventures to groups across the university, including the Johns Hopkins School of Medicine’s Committee on Conflict of Interest, the Homewood (Engineering, Arts and Sciences) Office of Intellectual Property (IP) and Technology Commercialization, the Carey Business School and the Applied Physics Laboratory’s Office of Technology Transfer. Prior to working at Hopkins, she was in private practice at a law firm in Baltimore, Maryland. She prosecuted patents for individual entrepreneurs, companies ranging in size from start-ups to large corporations, and governmental agencies. Gadhia also handled trademark and copyright prosecution, licensing and IP litigation. Gadhia earned her bachelor of science in chemical engineering and her juris doctorate, both with honors, from Wayne State University in Detroit, Michigan. During her time at Wayne State, Gadhia held intern positions in the environmental engineering and IP departments of the Ford Motor Company. She also completed a master’s in IP law at the George Washington University Law School. During her post-graduate studies, she performed policy work at a D.C. think tank dedicated to promoting economic growth in developing countries through the establishment and enforcement of IP rights. Gadhia has authored various articles and spoken at many industry conferences. She is a certified licensing professional, is registered to practice before the United States Patent and Trademark Office and is a member of the State Bar of Georgia. Gadhia mentors technology transfer professionals, including those new to the field, and finds the interactions professionally rewarding. Many of her mentees are working at technology transfer offices across the country. She also is an active member of the Licensing Executives Society as well as the D.C. chapter of Women in Licensing. Ami Gadhia. “Case Shows Importance of Well-Kept Notebooks,” THE NATIONAL LAW JOURNAL, Oct. 16, 2006, at S15.